: Unwanted water production from oil and gas reservoirs is a serious problem for producers. Preformed particle gel (PPG) treatment is a benefit approach to control excess water production. Swelling percentage of PPG samples in saline water is a key factor affecting the efficiency of the water conformance process. In this study, an efficient series of PPGs were synthesized and their swelling behaviors were studied. 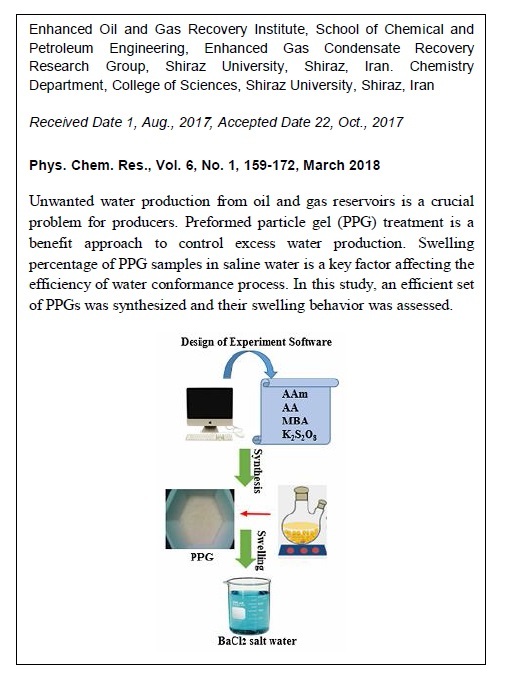 The design of experiments (DOE) software was used to design synthesis experiments and optimum swelling percentage of PPGs in BaCl2 salt solution. Results showed that the optimized range of the dominant factors including mole ratio of acrylamide (AAm) to acrylic acid (AA), the mole percentage of N,N'-methylenebisacrylamide (MBA) and time were found to be 6.8 to 7.4, 4.2 to 4.5 percent and 179.8 to 180 min, respectively. Additionally, PPGs had the maximum swelling percentage of 529% in the optimum conditions. 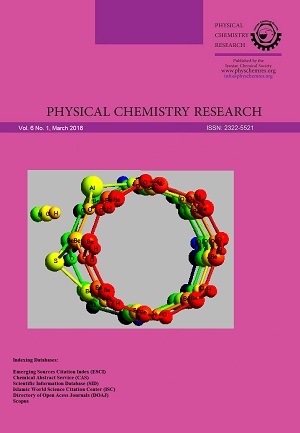 In the end, for the first time, an empirical correlation was proposed by the software that predicts the swelling percentage of PPGs in BaCl2 salt solution, which had good compatibility with the laboratory data.